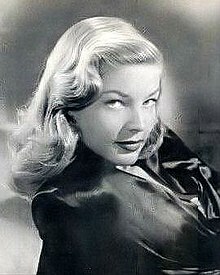 Lauren Bacall (16 September 1924 - 12 August 2014) was a Jewish American film and stage actress. She was the wife of Humphrey Bogart until his death, and afterwards married Jason Robards. The people I've known I must say are extraordinary. When I think about some of them, I can't believe that I knew them all. You just learn to cope with whatever you have to cope with. I spent my childhood in New York, riding on subways and buses. And you know what you learn if you’re a New Yorker? The world doesn’t owe you a damn thing. Being a liberal is the best thing on earth you can be. You are welcoming to everyone when you're a liberal. BACALL: … I love it. Being a liberal is the best thing on earth you can be. You are welcoming to everyone when you're a liberal. You do not have a small mind... I'm total, total, total liberal and proud of it. And I think it's outrageous to say "The L word". I mean, excuse me. They should be damn lucky that they were liberals here. Liberals gave more to the population of the United States than any other group. "She's not a legend," Bacall said. "She can't be a legend at whatever age she is. … You have to be older." Her life speaks for itself … She lived a wonderful life, a magical life. People said Bacall was 'tough.' She's a pussycat with a heart of gold.